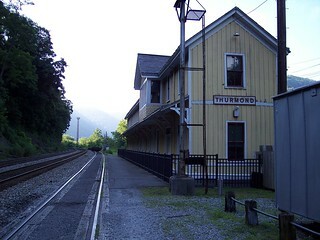 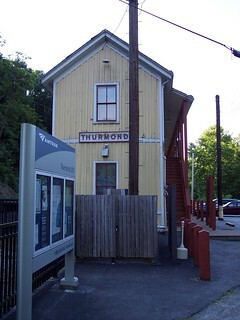 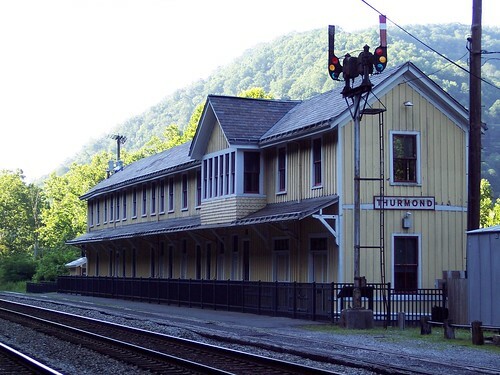 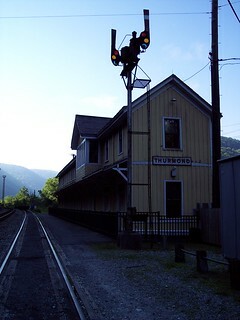 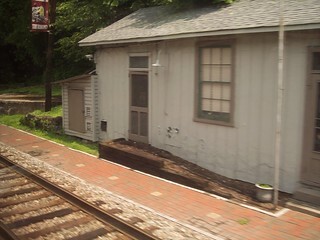 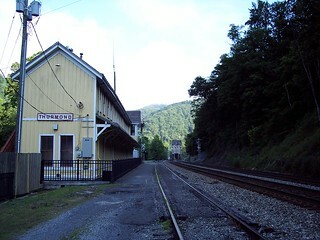 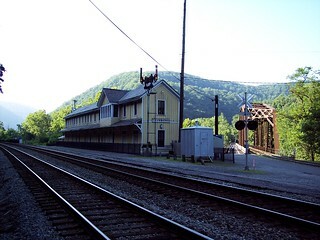 The C&O and now Amtrak station in Thurmond. 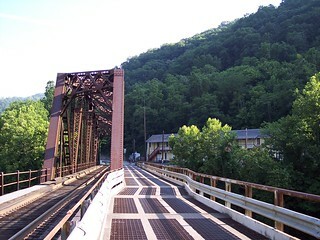 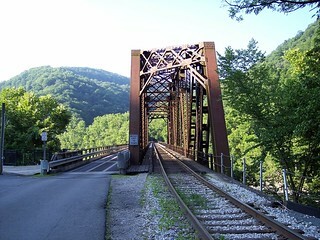 Crossing the river into Thurmond with the station in the distance. 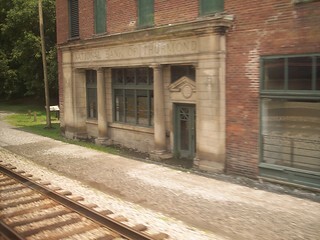 The former National Bank of Thurmond, and what I believe is the town hall. 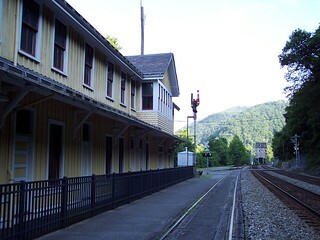 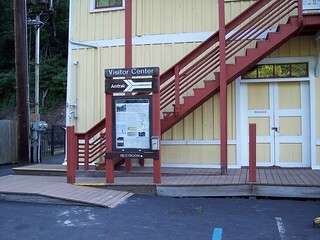 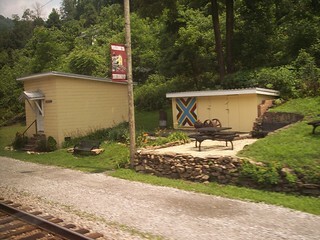 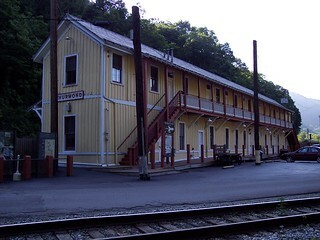 The post office sits across from the station.